Titled and signed recto on the mount; two exhibition labels on verso. 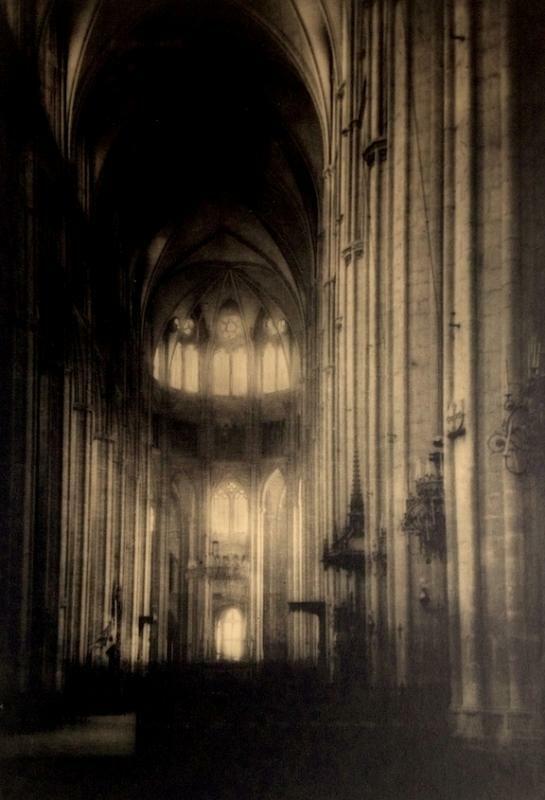 The image is Bourges cathedral in France. Fred Archer was a founding member of the Los Angeles Camera Club, which encouraged high technical standards and experimental style amongst its members. Archer produced many abstract images of reflected light, reminiscent of a kaleidoscope, as well as a variety of other images in various styles. He was also an important educator serving on the faculty of the Art Center School of Design in Los Angeles (which offered an important early photography program) before starting his own Fred Archer School of Photography. His work is included in the collection of the George Eastman House, Los Angeles County Museum of Art, and the Center for Creative Photography among others. Items Similar To "Fred Archer: Bourges"